Much of the third culture dialogue to date has centered around notions of identity, home and belonging. For some TCKs, the lack of clear definitions leaves us feeling different and out of place. but what if none of that mattered? What if we defined our "identity" in terms of our personal character traits, strengths and values? What if we described "home" as a sum of our upbringing, cultural influences and personal experiences? When I learned I was a TCK five or six year ago, it was as if a big piece of my identity's jigsaw puzzle had finally fit into place. I became more confident as an individual and it helped me realise that identity is fundamental to cultivating positive relationships. The strong the sense of identity one has, and the better once knows themselves, the better the relationships one can cultivate with the outside world. Identity is something that changes over time; it is a flexible and fluctuating concept though there are distinct parts that remain the same. Global Citizenship is not just the ability to adapt to different environments, but also having an open mind and cultivating an inquisitive spirit. As a TCK, it is easier to identify as a Global Citizen because we're forced to live in a country that's different from our home country, and have had to engage with people from other cultures from very early on. Anyone can build a Global Citizen mindset - even if you've lived in one country your entire life. Something as simple as reading a foreign newspaper allows us to gain knowledge and different perspectives which will have an indirect impact on our identities. Because it comes easier for TCKs to take on this mindset, it is fundamental that in our interactions with non-TCKs, we encourage and demonstrate the positivity that comes with being open and questioning our existing beliefs. The importance of identity dove tailed into the concept of being a Global Citizen is really about empowerment. Where is home and where are you in your life? This is never an easy question. I rememer feeling confused about my identity during college - it was annoying not knowing my calling and what I could commit to for a long amoutn of time. The problem is sometimes that you are so sure of who you are in one context, but you don't understand how you fit in a global context and what the life and purpose you want in that bigger picture looks like. Today I help high-flying TCKs and Expats who feel they're missing something within themselves, or feeling not completely fulfilled to pinpoint that passion or value offering they have available, and turning that into an action that's bigger than themselves and integrated with their lives. It's about understanding how everything connects. Key 1: Look for the common thread. That single core thing that unites your favourit and exciting experiences that you have. Key 2: Connect with your own values. What is your inner, honest opinion? Get in touch with that to know what fulfills you. ​The ability to see things from many different perspectives is a strength, but at the same time this ability sometimes prevents us from seeing what we really value and desire and this is crucial to understanding who you are. Personal connections are what really create our expereinces and give us a sense of "home" in a global context. Today I've become so adaptable that no matter where I go, I can always find space and community to create my life and a surrounding that I love. Email Ying Han for a free one-to-one session to communicate with your unconscious mind and find clarity around what's important to you. Born in Singapore, with both parents from India, I often felt caught between two different cultures - not quite fitting to either one culture. At the same time, I felt my identity was bigger than these two culture and this made me feel like a Global Citizen. Part of this was to see huge inter-connections between my identity and the world, even though we like to think of identiy as something that is unique to us. As a Future Researcher, I work with businesses, governments and organisations around the world to help solve complex sustainability challenges. I aim to understand how our world is changing in big and small ways - flashes of our future. I believe more and more of us are becoming Global Citizens, bringing unique traits that can be a very strong and positive force in helping to solve some very big sustainability issues such as resources scarcity, climate change, and food shortage. Learn more about the 38 big trends or spot your own signals of change you believe will have a consequence on our sustainability to the forum of the future - Seize The World (thefuturesensor.orghttp://thefuturesensor.org). 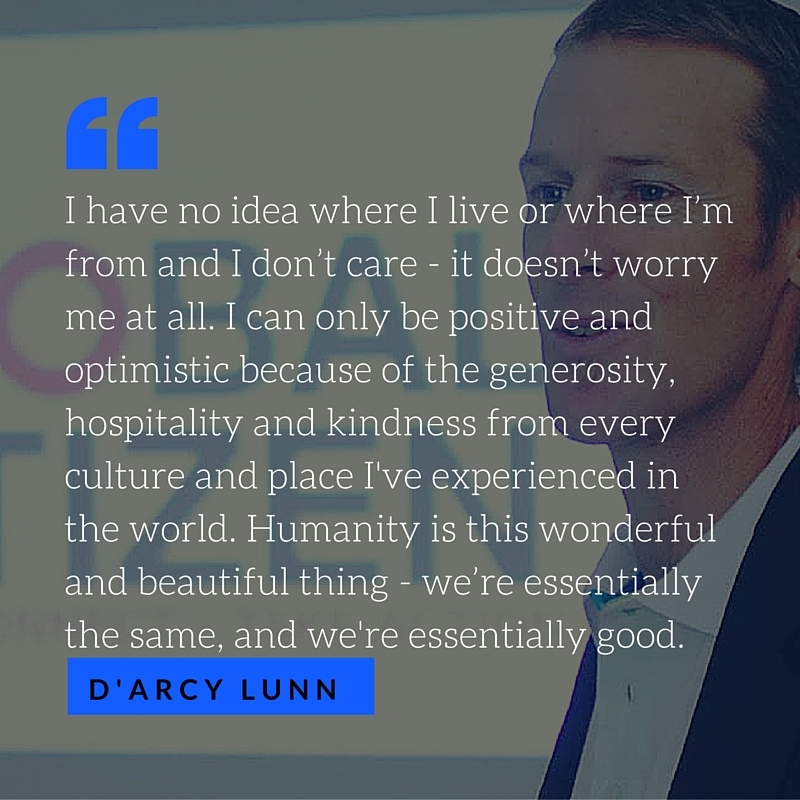 My experience with Third Culture has revolved around being social and geting out there - actively working to share and create a network of people and being conscious of a push to share our experiences, but including others in them. 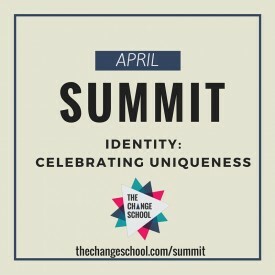 I believe this allows us to celebrate our unique identities and move this Global Citizenship discussion forward. 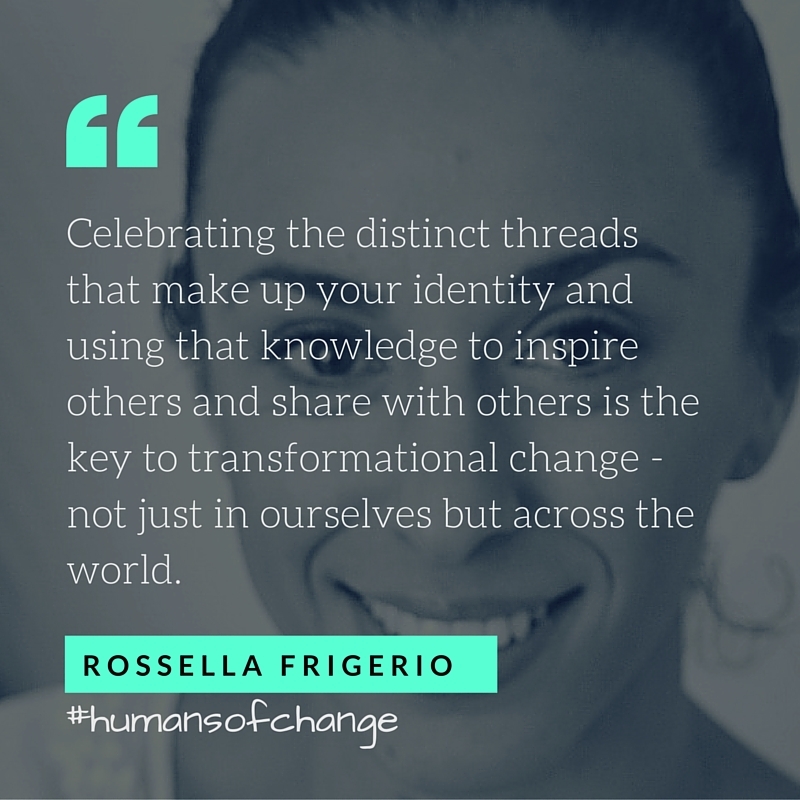 We should all be sharing more and working to create a global network that allows us to have the identity that we personally believe we have - to re-own our identity and committment to doing so. In order to do that we need to be more open and get the conversation going. As TCKs we often hold things back and keep secrets to avoid labels and judgements, and this needs to change. We need to be able to share our experiences, not hide from them, and we're the only people who can push that cause. What is a Global Citizen mindset? It is being free to identify with what we feel is true to ourselves, and crucially, being able to accept that others can do the same thing too. It is a journey of developing self-awareness and translating this into meaningful action. It's about breaking free from the need to label our identities according to tangible locations, in order to grow and realise our potential to bridge boundaries between people from around the world. It is adopting a global way of thinking. 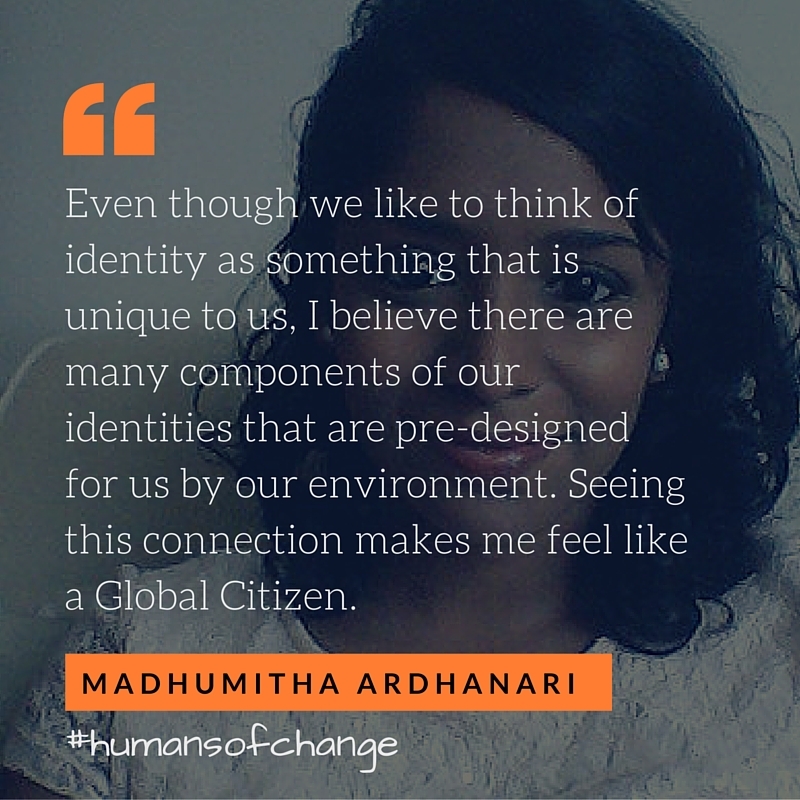 I developed an awareness of Global Citizenship through my personal struggles to understand who I am, and this pushed me to do something about it - to become social and bring people together to push for positivity as a way to recover from some of the more difficult parts of being Third Culture. Rather than escaping from negatives, we shoudl be letting them guide us - we are all a work in progress. TCKs frequently grieve, but we should be sharing and celebrating in order to realise our value and appreciate the ever changing journey of working out who we really are. Recommended reading: A Yrea of Magical Thinking - a story about grief turned into a guiding light, something we can all learn from. Why is celebrating our unique identities important? Because it encourages us to share diverse experiences and harness power from that - not just for ourselves but for the benefit of others, otherwise we're not really being global. With this discussion of expressing our uniqueness comes a tendancy to feel or sound like we feel elite or enlightened, and this stops us from learning and communicating. It isolates us and defeats the point of advocating to be global. The question "Where are you from?" might be a puzzle, but puzzles are fun. Perhaps we should start celebrating this question rather than being repulsed by it. Let's be positive, let's be social, and let's begin creating a support and knowledge sharing network and let's keep talking. Want to setup a TCK Group? 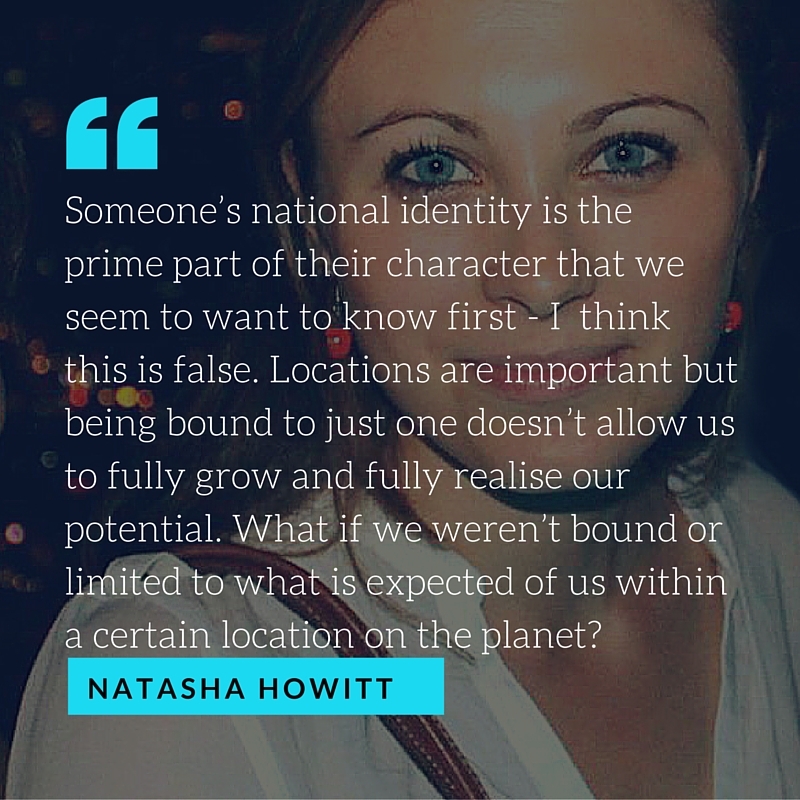 Get in touch with Natasha for tips and connections to people in London or get involved by joining the TCK Society. For me, creating my identity was very hard to do after growing up in a mono-cultural setting (Australian). It was a tough transition for me - trying to figure out who I am (one side Australian) and having all these new cultures I was learning form. In the end, I had to be comfortable with being different from the people I grew up with, as I grew up to be very different from the people I grew up with. In those years of experience an identity crisis and not knowing where/how to fit in, this other idea of celebrating my uniqueness came through very strongly and importantly. Once I was able to be happy with being different and not fitting into any one place - without judgement of myself or others - celebrating uniqueness was a really important step for me that only happened in my early 30's. Today the way I look at my life and celebrate uniqueness is by feeling extremely rich in experiences, in understanding simplicity and yearning for it; in being very content very easily and being rich with compassion and diversity. Having learned so much from different people, in different cultures, living in different ways - this sort of richness is really important to who I am and that's what makes me unique. We don't always have to be amazing or do amazing things, we can just be. We're all just individuals doing different things - not better or worse, just different. As a TCK, or not, we all have wonderful uniquenesses that shoudl be celebrated, knowing that it's not that we don't fit into boxes, it is that we don't have to. We make the rules of our own lives and can be whoever we want to be. There is no right or wrong, there's just different.